Coco A&B provides a complete premium synthetic nutrient profile, specifically formulated to support plant growth in coco coir throughout the entire growth cycle. The combined nutrient profile contains all essential macro and micro nutrients, with an optimised NPK (nitrogen, phosphorus and potassium) ratio, and chelators to ensure bioavailability to plants. Coco A&B fulfils plant nutrient requirements to support healthy, vigorous vegetative growth and abundant flower yield. 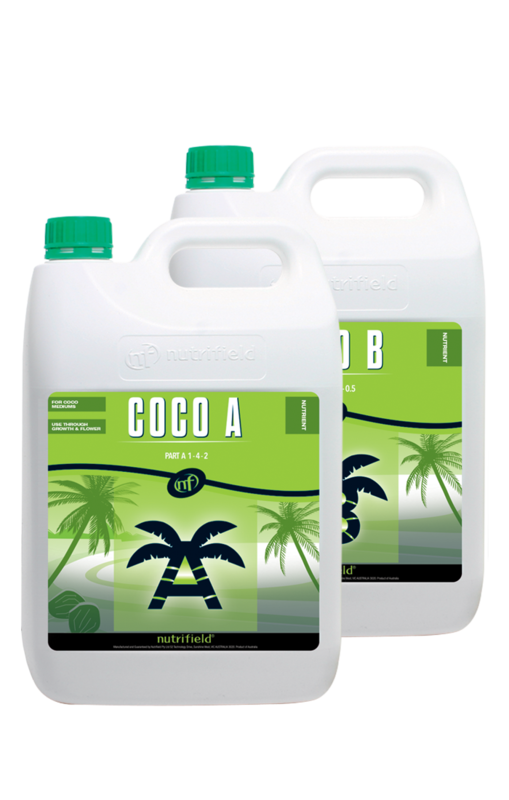 Nutrifield Coco A&B has been specifically formulated for use in coco coir, and to be a balanced and complete base nutrient system for your plants throughout the entire grow cycle. 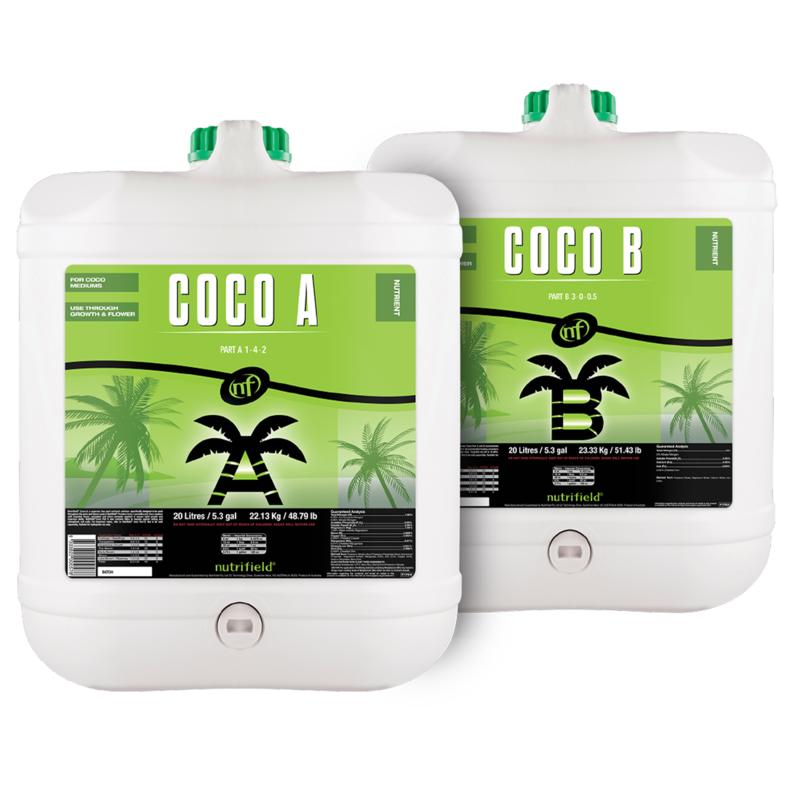 Our Coco A&B gives gardeners the convenience of using a single, two-part nutrient throughout their grow cycle, while still providing excellent results during both vegetative and flowering periods. This unique formulation provides everything plants need for rapid growth in coco substrates. Nutrifield Coco A&B contains added beneficial nutrients to support plants through environmental challenges. It contains suspended silica which prevents wilting and increases drought tolerance, and fulvic acid, which breaks down complex minerals into their ionic form and chelates them to be readily available. Nutrifield Coco A&B is also high in calium, which is essential for cell wall structure and aids in the retention and distribution of other essential elements, such as potassium.